While he enjoys working professionally in Berlin, Los Angeles is a city where Werd can fully commit to the music he wants to create. What brought you to Berlin and why did you decide to stay? While touring Europe on an Interrail trip in 1998, I spontaneously decided to visit Berlin. The first night in the city I was brought to the Kurvenstar, a local meeting point and hang out for the young Berlin Hip Hop scene located in the graffiti filled, un-renovated neighborhood of Hackescher Markt. I was immediately impressed with the blossoming city, its ever-changing history and developing music scene; it was a time when independent artists and labels were really carving out a name for themselves in a city exploding with creative potential. I fell in love with the contrast between the grey darkness, the emotional heaviness of Berlin and the colorful graffiti and street art that jumped from the walls of coal smoke stained buildings. As a student of art and art history, I was absolutely floored by the vast amount of historical architecture, painting and sculpture Berlin had to offer. Six months later I found myself flying back to Berlin to DJ a New Years Eve party at the same club, Kurvenstar. The packed party lasted until 9 am on New Years Day, something I had never experienced in California. In the summer of 1999, I graduated from Santa Clara University and moved to what I saw as the new artistic capitol of the world, Berlin. Almost 20 years later, I am so grateful for all the city has taught me. I have worked with and helped build the careers of some of Germany's best known and most respected Hip Hop artists such as Sido, Chefket, Amewu, Joy Denalane and Suff Daddy just to name a few. Performing with these artists and in the band for The Voice of Germany for the past 7 years has given me the opportunity to grow and develop as an artist and musician in a way that no other city could. Final rehearsal for a performance during the casting show "The Voice of Germany"
You are splitting your time right now between both cities - what's the best of each world? All the projects I do in Berlin are the result of the relationships I have built over the past 2 decades. Being an integral part of Sido's live performances since his first show in 1999 has allowed me to create and develop live Hip Hop performances at the highest level in Europe. Working together with Amewu and the Goethe-Institut has given me the opportunity to travel to Bangladesh, Ivory Coast, Ghana, Burkino Faso, Togo, Camaroon, Iraq and Mexico, performing and collaborating with local artists and hosting a variety of Hip Hop workshops. As a member of the Voice of Germany band since the second season, I have been blessed to work with some of the most talented and professional musicians, singers, musical directors and engineers in the world. I have learned so much about music production and performance in Berlin, and I really appreciate the loyalty and friendship of all the artists I have had the fortune to work and build with over the years. Los Angeles is a brand new city that I am still discovering every day. I grew up in northern California and had never spent a lot of time in LA. On Valentine's Day 2016, I performed with the Canadian singer, Erica Dee at Viper Room in West Hollywood. We spent about a week in LA before moving on to the rest of our West Coast tour. I connected with a few old friends from the Bay Area who had long been living here, and met so many interesting, creative, open and friendly new people every day. The distinctively Californian culture and mentality and the desire to engage and connect with all the different characters we share the city with is something I absolutely love about Los Angeles. It's almost impossible for me to describe my appreciation for the quality of light here, especially in the winter. After nearly 20 winters in Berlin, I am so grateful to be able to have a studio space with large windows where the warm sun shines in almost every day of the year. I recently realized that this is the first time I am producing and recording music in natural light, which may affect the music I am making, hopefully in a positive way, but that is yet to be determined. How would you describe the music scene of Berlin and LA? What do they have in common and what's different? For the music I am making, Los Angeles is definitely the most influential, inspiring, and competitive city in the world. So many amazing musicians, producers, rappers, djs and beat makers are working in the city creating monumental pieces of music. The history and legacy of the LA Hip Hop scene has influenced the musical landscape of the world immeasurably. Through the ever-growing importance and development of electronic music production, Germany too has a legendary status and Berlin has quickly become an affordable and attractive creative space for artists from all over the world. Berlin changes fast and has gone through several transformations in the time I have spent there. While I enjoy working professionally in Berlin, Los Angeles is a city where I can fully commit to the music I want to create. The culture of self assuredness and the constant hustle forces me to take my own art seriously, and all the skills I have learned while living in Berlin will accompany me in any new projects and endeavors I take on in Los Angeles. Release of his first full length instrumental hip hop album "The Path"
What's the coolest project you got to work on in Berlin and LA? Six years ago in Berlin I started an event called Sample Science. It is a beat maker/producer event where several people meet and have two hours to create an original piece of music all using the same sample. Professional producers and beginners alike meet and exchange production and recording techniques, and a dedicated community has formed around the event. Sample Science still takes place every first Sunday of the month in Cafe Wendel in Kreuzberg. The songs are immediately uploaded to Soundcloud and we have over 750 songs available for streaming, all created in the two hour timeframe of our event. In November of 2016, DJ Inka One booked me to dj at the legendary Boombox Party in Chinatown. Also on the bill were two of my heroes and role models, Rhettmatic of the world-famous Beat Junkies and rapper turned dj, Mad Skillz from Virginia. It was a packed venue and one of my first dj gigs since returning to California. My set was strictly comprised of Californian music, and I had a feeling of pride playing the music that I and so many other people grew up with for a crowd of die hard LA Hip Hop heads. I definitely had the feeling of returning home to a warm embrace. How do the cities inspire your work? Berlin has inspired my work in so many ways, but what is most apparent is the way that the melancholic beauty of the city has permeated all of my music. The heaviness and seriousness of the city can be heard in almost everything I have recorded and released, and I am extremely excited to see what lightness of LA will inspire me to create. I just finished performing in the eighth season of the Voice of Germany, and directing and performing in three Sido Christmas concerts in Berlin. I will be in LA for the next 5 months djing, producing and recording in my newly built studio space, making remixes, features and putting together the first pieces of my second album, all while enjoying the sun rays and amazing food Los Angeles is famous for. In 2019, I plan to be collaborating more with my sister, Erika Chong Shuch, an amazing choreographer and theater director based in San Francisco. Over the past two years we have worked together to create several unique and intimate performance pieces in the Bay Area. It is a real blessing to be so close to my family after so many years of being so far away. Listen here to a mix of songs he recently produced or find more on his YouTube channel, like his one-time collaboration “Enough” with West African emcees Rapturous (Nigeria) and Kromanteng (Ghana). ‍German-based, California native Werd is a DJ, musical director, producer and performer that has been a fixture in the Berlin music scene for nearly 20 years. Born and raised in San Jose, California, Werd began his career in 1996 while attending Santa Clara University. He established the “Curbside Radio Show” on the college station KSCU 103.3 FM - the hip hop radio show acted as a forum and showcase for local independent artists to reach a larger audience. Recording and releasing several mixtapes featuring a handful of Californian underground rappers and producers, Werd toured Europe in 1998. The next year he moved to Berlin, Germany. There he met DJ Hype and was initiated as the newest member of the legendary turntablism crew, The Phaderheadz. Through countless showcases, parties and battles, Werd quickly earned the respect of the hip hop community in Germany and beyond. 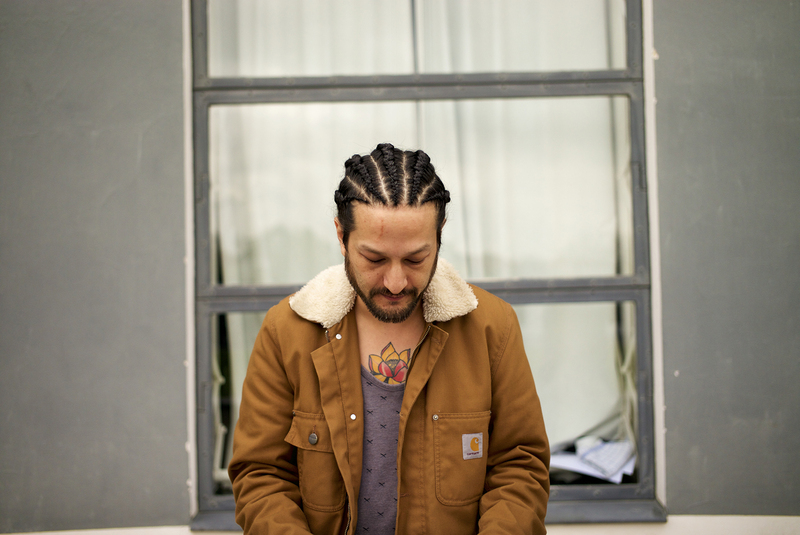 Werd currently serves as the Musical Director and Tour DJ for a wide range of Germany's most influential artists such as Sido (Universal), Joy Denalane, Suff Daddy (Jakarta Records), Amewu, Chefket (Universal) and many others. For the past 7 years, Werd has also been a member of the live band for the hit TV show "The Voice of Germany." 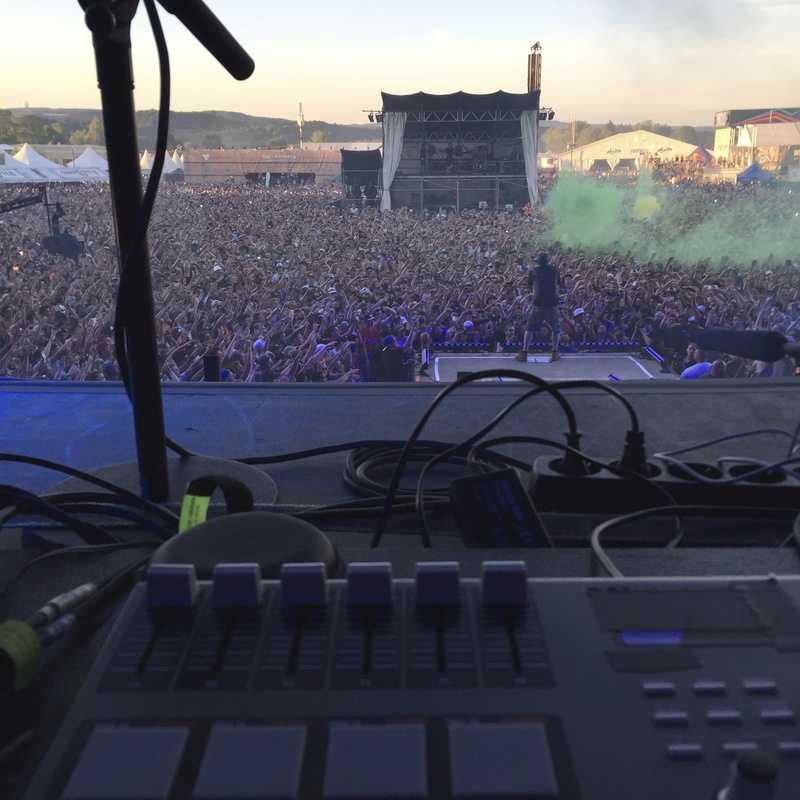 Playing percussion, scratching, and producing with Ableton Live, he has integrated elements of hip hop into one of the most successful music television shows in the world. Werd’s passion to create and collaborate with artists and musicians around the world keeps him busy crossing the continents working on various projects, ranging from the monthly “Sample Science” event for Berlin based beat makers, to scoring and editing music for original content, producing music for contemporary dance theater performances with choreographer Erika Chong Shuch in the Bay Area, playing featured DJ sets for parties up and down the California coast, to starting his own small indie label called Long Lost Relative. 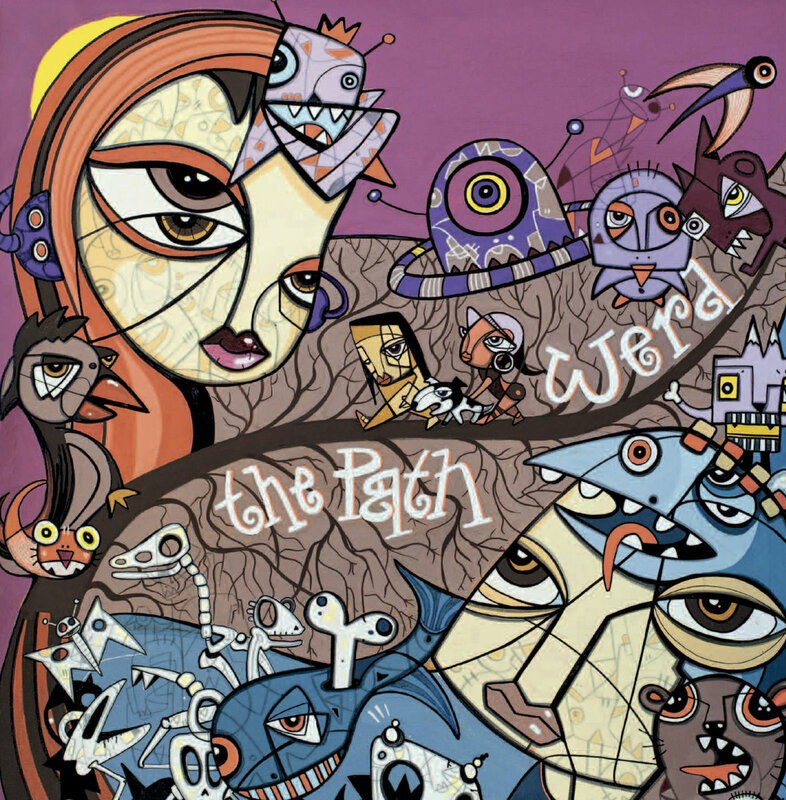 Most recently, Werd released his first full length instrumental hip hop album, "The Path" as well as the one-time collaboration “Enough” with West African emcees Rapturous (Nigeria) and Kromanteng (Ghana).